After last week’s snowstorm, we’re sure you’re all counting down the days to head out on spring break. We’re right there with you. Lucky for you, we’ve got something else for you to look forward to this break. ITH is organizing a contest for Ithaca students and residents for the chance to win a $250 travel voucher. The contest begins now and ends on April 13th. To enter the contest, complete these three steps! 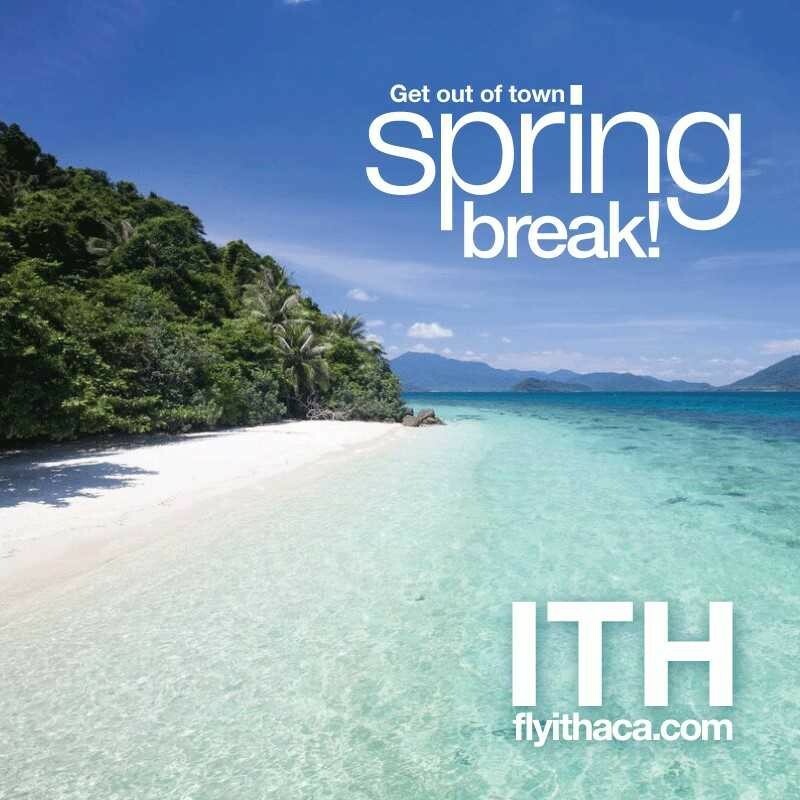 Step 2: Post a photo of your spring break or vacation on Instagram with the hashtag #ITHSpringBreak and tag us at @fly_ithaca. Feel free to come stop by the table to pick up sunglasses, other ITH swag, and to provide representatives your email address for a second entry into the contest! Make sure your account is set to public so we can see your post! The winner will be chosen at random and will receive a $250 travel voucher and promotion on our Instagram page! The winner will be announced on Monday, April 16th! Good luck everyone and have fun, safe Spring Break!